The moment Amanda defied her rich and powerful father to marry Bobby O’Leary, Big Max disowned her. Even now, with Bobby dead and Amanda mired in debt, he refuses to forgive her. But Caleb, the new man in Amanda’s life, is determined to mend fences between father and daughter. He also has a far more personal mission—to make Amanda and her family his own. But when she learns how close he is to Big Max and the secret Caleb’s been hiding, there’s every chance she could walk away. As a pastor, Caleb’s used to calling on a higher power for help, and heaven knows it’s going to take a miracle to fix this before it’s too late. 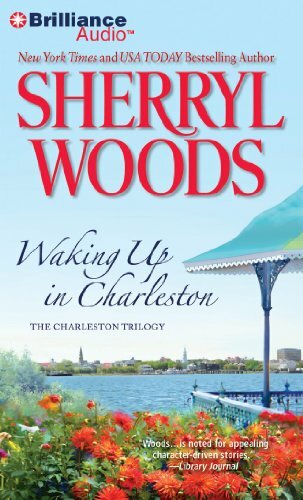 With her roots firmly planted in the South, Sherryl Woods has written many of her more than 100 books in that distinctive setting, whether her home state of Virginia, her adopted state, Florida, or her much-adored South Carolina. She's also especially partial to small towns, wherever they may be. A member of Novelists Inc., Sisters in Crime and Romance Writers of America, Sherryl divides her time between her childhood summer home overlooking the Potomac River in Colonial Beach, Virginia, and her oceanfront home, with its lighthouse view, in Key Biscayne, Florida.